GIVE YOUR BABY THE GREATEST GIFT FOR LIFE! Baby swimming lessons equip your newborn with a critical life-preserving skill, and it is also a fun and enthralling time for you and your family. This is especially true for first-time parents, as swimming with your baby is truly an amazing and valuable time for bonding, and it is probably the most memorable and thrilling activity you can do with your baby during that short, tender age. According to a research conducted by Griffith University Australia, infants and babies who are involved in swimming during these formative years are more advanced in their cognitive and physical developments compared to their non-swimming peers. Additionally, the same research also revealed improvements to social skills and language development. 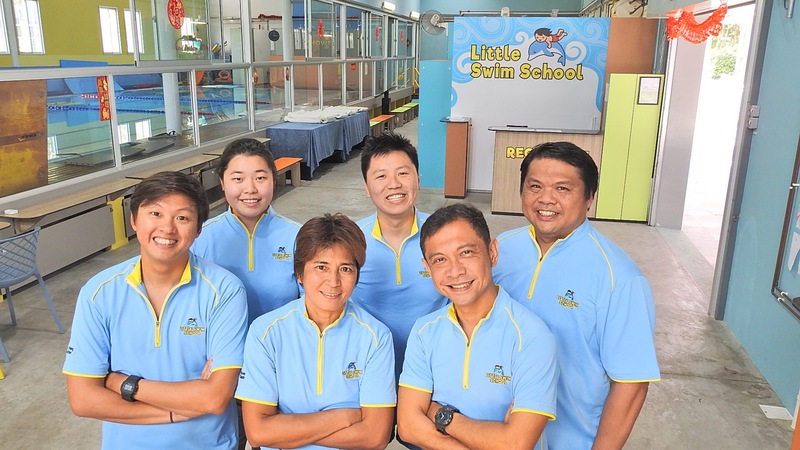 Little Swim School conducts baby swimming lessons for infants between 6 to 42 months young. Yes you heard that right; infants are ready for the water from as little as 6 months young! Equipping your baby / infant with the skills needed for water survival is probably the greatest gift you can give to him / her that lasts a lifetime. This is inline with our vision of "Enabling Water-Safe Kids". Swimming with your newborn is also a fantastic time to bond. The constant holding, guiding, leading and verbal cues between you and your child present a precious opportunity for fostering stronger bonds. Free from the restrictions of gravity by being in a completely weightless environment, your baby will get to use muscles that he/she will not otherwise use on land. Being in a company of two or more people enables your baby to develop the full spectrum of their cognitive abilities, such as information processing, social awareness, and perceptual skills. WHAT WILL MY BABY LEARN? Being in a new environment such as water, your baby will learn to be acquainted and acclimatised with being in it, as well as its nature and characteristics. The weightless nature of being in the water aids your baby to learn how to stay afloat independently with minimal aids or external support. Your baby will learn how to control his / her breath, when to breathe, when not breathe, as well as breathe recovery with the appropriate verbal and kinaesthetic cues. You baby will learn to be comfortable in the water, from quick, partial water submersions to momentary full submersions, along with the appropriate breath control techniques. Infants will learn how to generate propelling force with simple hand paddling and leg kicking techniques. Your baby will learn how to glide between two short distances, and pull themselves up for air with support. Babies and infants learn best when they are having fun at the same time. This is the reason we create a fun and high energy learning environment with our specialised baby swimming toys and equipment, while concomitantly getting your baby to be acquainted with being in the water and performing simple drills and water exercises. Register your baby / infant for baby swimming lessons with Little Swim School today!